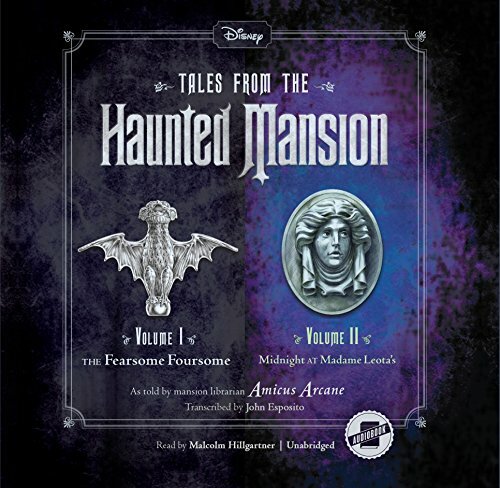 Welcome, foolish mortals, to Disney Press' spookiest chapter book series yet: Tales from the Haunted Mansion! Based on the attractions from the Disney Parks, each new book tells the story of one of the Haunted Mansion's 999 ghosts. In this bone-chilling book, you will hear the terrifying tales of the Fearsome Foursome -- four kids who look to out-scare each other. But just wait until they hear my spooky stories. Who am I? I am Amicus Arcane, your librarian and host. Your Ghost Host. So read on . . . if you dare!